At Silver Sun Studio, our demos show how diverse we are. We have worked with many different kinds of companies including industrial manufacturing, tourist and corporate. We have worked in all 50 states and internationally. 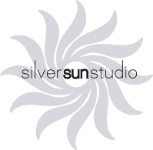 Silver Sun Studio creates music videos and writes original music for clients to use in their productions.